Dr. T. RENGARAJA obtained his B.E Degree in Civil Engineering, in 1987 and obtained his M.E Degree in Structural Engineering, in 1994. He was awarded Ph.D degree in Civil Engineering (Smart Structures) in 2008 from Anna University, Chennai, TamilNadu. He has over 25 years of rich experience in academic arena. He had earlier served as Principal of KCG College of Technology from July 2009 to May 2016. He was instrumental in getting accreditation for under graduate studies from the National Board of Accreditation. He had also served as Dean of our Institution (RMKCET) from June 2008 to July 2009. He has been credited as "Architect of the Organization" by our Management for his role in planning and monitoring during initial stages of our College. 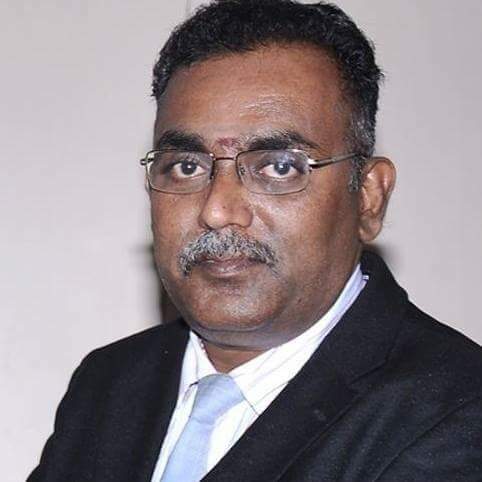 During his tenure as Vice-Principal of RMD Engineering College from August 2003 to June 2008, he was instrumental in getting accreditation and ISO certification. He had participated as Academic Council member of Madras University in planning and framing of engineering syllabus consecutively for two terms during his stint as Assistant Professor at RMK Engineering College. He is a great orator. He is well-versed in Ramayanam. He has participated in various talk-shows in Television on academics and spirituality.